Last September, the United Nations gathered to recognize the serious threat that antibiotic resistance poses to the public. 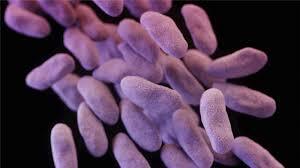 It is estimated that antibiotic resistance is responsible for the deaths of over 700,000 people worldwide annually. Only a few days ago, the World Health Organization released a list of the microbial pathogens that pose the biggest threat to human health. Needless to say, any progress in this fight is a benefit to people. Researchers have some good news in the face of all the warnings; it appears that a drug combination is effective against two of the three pathogenic bacteria identified by WHO as well as another dangerous pathogen, all of which are gram negative bacteria. These findings have been reported in Nature Microbiology. Gram-negative bacteria have a impervious outer shell that serves as a shield against many commonly used, and usually effective bacteria. That makes for an especially tough bug, causing many deaths, especially in hospital settings. "These pathogens are really hard nuts to crack, but we found a molecule that shreds that shell and allows antibiotics to enter and be effective," explained the senior author of the report, Eric Brown, a Professor of Biochemistry and Biomedical Science at McMaster's Michael G. DeGroote School of Medicine and a scientist of the Michael G: deGroote Institute for Infectious Disease Research. The researchers determined that an antiprotozoal drug called pentamidine breaks into the surface of even the most resistant Gram-negative bacteria. When this antifungal drug was used in combination with antibiotics, it was effective against multi drug resistant antibiotics. "These pathogens are really hard nuts to crack, but we found a molecule that shreds that shell and allows antibiotics to enter and be effective," said Brown. When pentamidine was used with antibiotics it could combat enterobacteriaceae and Acinetobacter baumannii, two drugs on the list released by WHO. This combination of drugs was also effective against another dangerous pathogen, Pseudomonas aeruginosa. These results were modeled in rodents and in the lab, and now testing will have to investigate the side effects and safety for use in humans. Brown's lab continues to search for more therapies. "One of the things we want to pursue further is why this is working so well," he concluded.